I don't make New Year's Resolutions. I figure why wait until the beginning of a calendar year to start something. Why not start today? However, I am a firm believer in setting goals. I have met some of mine, such as membership in the Online Film Critics Society, of which I take great pride in. With that, I have some goals for Rick's Cafe that I hope to either meet or improve on in the year of Our Lord 2012. Even before The Artist, to misquote a song, "I was into silent films when silent films weren't cool". I have always thought that silent films had been relegated to the netherworld of cinema, like antiques one kept around but didn't see any use for or anyone interested in. Unfortunately, so many silent films are now lost or incomplete. I have always thought it a tragedy that only 20 seconds of Theda Bara's version of Cleopatra are known to exist, but we'll have endless copies of The Hangover Part II to plague us forever. Fortunately, some films have survived, and some reemerged, such as a nearly complete version of Metropolis recently rediscovered in Buenos Aires in 2008. With that, I have a goal to watch and review at least one silent film (my small contribution to bring attention to the genre). I had finished the Harry Potter and Planet of the Apes retrospectives, where I watched all the films in the series and threw in my own comparisons, rankings, and personal reflections on them. However, I realize I have one more to complete and quite a few to begin. The one I had all but stopped working on was the Star Trek retrospective, which isn't good since I have all but finished with the Original crew and was about to begin with the Next Generation stories. Therefore, I have a goal of finishing out the Star Trek retrospective (a daunting task given I'm not anywhere near a Trekker/Trekkie). However, I also have one large retrospective facing me, in fact the biggest one I've ever tackled. To commemorate the release of Skyfall, I've decided to watch all 23 previous James Bond films (including the non-canonical Never Say Never Again). I hope that because Skyfall is scheduled for November, I will be able to finish before its release. I like most Bond films, so I don't consider this a burden. 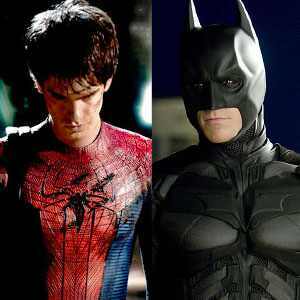 I also feel slightly overwhelmed by the plethora of superhero films about to be unleashed in 2012. We've got The Amazing Spider-Man, The Dark Knight Rises, and The Avengers, and then we've got Man of Steel, Iron-Man 3, and Thor 2 in 2013 (if the world doesn't end courtesy of the Maya). Therefore, I'd like to begin (and end) a series of retrospectives on the Spider-Man films, the Batman films (including the 1966 adaptation of the television series), and the Superman series. I come from a unique perspective since I never read comic books as a child. In fact, I take great pride in never knowing the difference between Marvel and DC Comics or the characters from which they sprung from. I therefore am not hampered if something doesn't stay true to the comics and am not slavishly devoted to the characters. I can, as a result, judge the film based on its own merits. My friend Fidel Gomez, Jr. and I compiled a list of 52 films, one a week, that every person should watch. We called our list The Essentials (with apologies to Turner Classic Movies, we were unaware of your show). We made a list, checked it twice, the ones that were on both our lists automatically made it to the Final List, then it was a fight to see which of our choices survived. We argued over some of them, sometimes quite vociferously. Fidel was pretty persistent our James Bond choice be The Man With the Golden Gun, but I held firm with Goldfinger. He also wanted 8 1/2 for our Fellini, but my heart was set on La Dolce Vita. However, I lost out my choice for the Charlton Heston Biblical epic, and thus Ben-Hur won over The Ten Commandments. I also lost out on our David Lynch feature: I could not shake Fidel's view that The Elephant Man trumped Blue Velvet, so I finally had to give up on one of my favorite Lynch films. 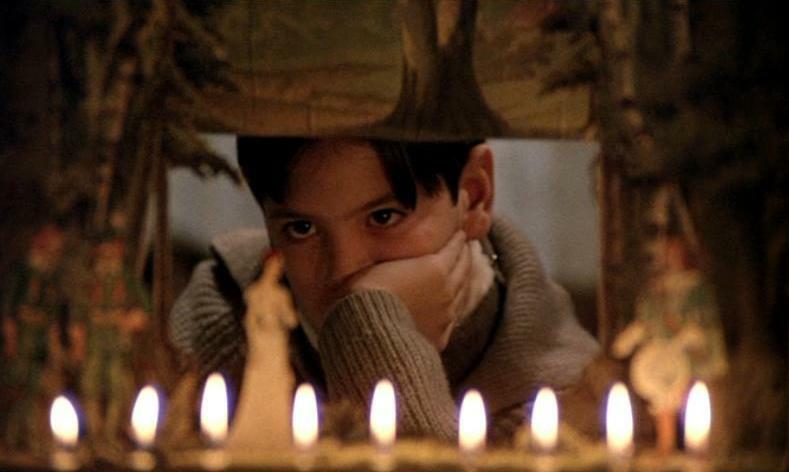 We were so unable to agree to an Ingmar Bergman film, so I let Fidel pick, and he chose Fanny and Alexander. I was dead-set against Pulp Fiction and Fidel did not want Sherlock, Jr. (or any Buster Keaton) on The Essentials, and to get them in we had to do a bit of horse-trading. He wanted Terms of Endearment? He had to take the 1953 House of Wax. I was desperate to get The Wizard of Oz, so I had to surrender on Sinbad & The Eye of the Tiger. Our list wasn't going to be the Greatest Films ever made (thus, bye-bye, Citizen Kane, hello Shawshank Redemption), and we were determined that it be from a wide variety of genres. We wanted musicals and science-fiction (mercifully, we both agreed Singin' in the Rain and Aliens should be seen by everyone), documentaries (no major arguments over Microcosmos or Michelangelo: Self-Portrait), foreign-language (from the German Aguirre, Wrath of God to the French/Arabic The Battle of Algiers), and some films we felt are great but perhaps not recognized or remembered as such (Glory, Stand By Me, Mrs. Doubtfire, The Last Emperor). After a lot of discussion, we settled on a list we both could live with. Fidel disappeared from my life before we could get started on our book. He said he was going to Colorado to see his sister, and I expected him to contact me when he got back. He never did. I sent text messages, called his unreliable cell phone (never had his home phone), but still nothing. I thought about stopping by his house, but frankly I kept getting lost along the way. In fairness to me, if he's still around, he hasn't contacted me. Truth be told, I miss him terribly. In any case, I decided to keep The Essentials going by reviewing all our 52 choices. Well, technically 56, but since three selections were trilogies, we decided they made up one large story and figured that covered us in counting them as 52. I got as far as Ben-Hur, but I got overwhelmed by recent releases and then just let it lapse. 2012, I hope to go back to The Essentials and complete them. Those are my Goals for 2012. I hope to keep finding great films in this upcoming year, and warning people against the Green Hornets, Green Lanterns, and I Melt With Yous of this year. To the Movies, to Good Movies, to Every Possible Kind! May 2018 Update: I failed to review a silent film a month, but I did create a Silent Film Catalogue where silent film reviews are archived. 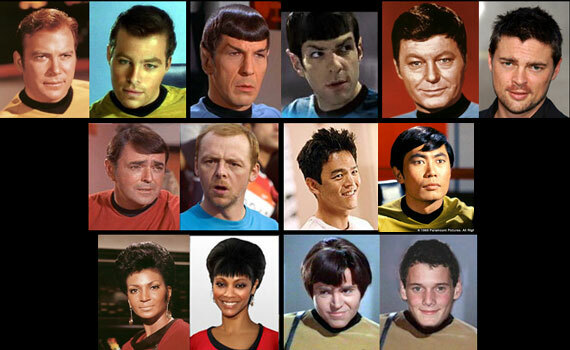 I did complete my James Bond and Star Trek retrospectives, though those will be updated for every new film made. As for The Essentials, those will remain incomplete, at least as being co-written. Fidel Gomez, Jr. did come back suddenly and unexpectedly into my life in May 2014, and we had three wonderful years together. Sadly, he died, also suddenly and unexpectedly on August 11, 2017. I've written about him, and even now, almost a year past his death, I miss him terribly. I continue to hold him in my heart.